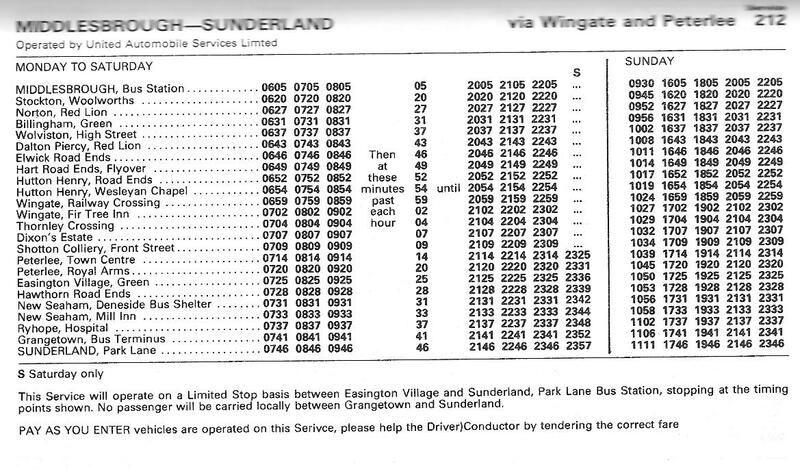 Moving on to longer distanced services now, starting with the ‘2xx’ series which revolves around buses operating from the Sunderland area into Co. Durham and Cleveland. The first example is the 212. 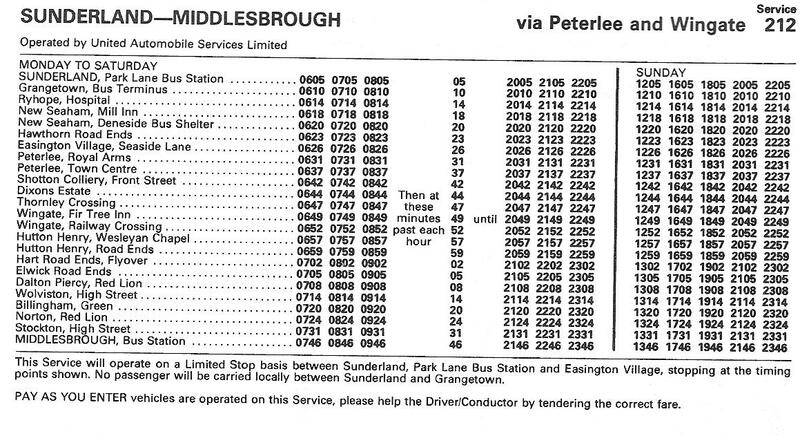 This service ran between Sunderland and Middlesbrough via Ryhope, Peterlee, Wingate and Stockton following much of the same route as Arriva’s 21A service and, until recently, Go North East’s 211.